Tim Farron is probably the most lightweight leader that the Liberals/Lib Dems have ever had, despite pretty strong competition. He is also the most right-wing and again the competition is pretty stiff. Since Israel rules over 4.5 million Palestinians on the West Bank and operates two sets of laws and legal systems it is difficult to know how else to describe Israel other than an apartheid state. In Israel itself the Arab minority is largely segregated from the Jewish population, for example there is a Jewish and an Arab education sector. 48% of Jewish Israelis want, according to the most recent Pew Research Centre Poll Israel’s Religiously Divided Society to physically expel Israel’s Arabs from the country. Israel is a state which in January demolished a Bedouin village in the Negev, Umm Al-Hiran to make way for a Jewish town. Quite how else would one describe that other than as apartheid? There is nothing anti-Semitic in this. Israel calls itself a Jewish state so it’s not surprising that many people therefore ascribe its actions to Jews per se. Of course David Ward should have said Zionist or Israeli Jews but there was nothing anti-Semitic in what he said. It is a fact that most people confuse the actions of Israel with Jews and ask why it is that Jews who were one the victims of anti-Semitism are now the perpetrators of racism. Their confusion is due to Zionist propaganda. 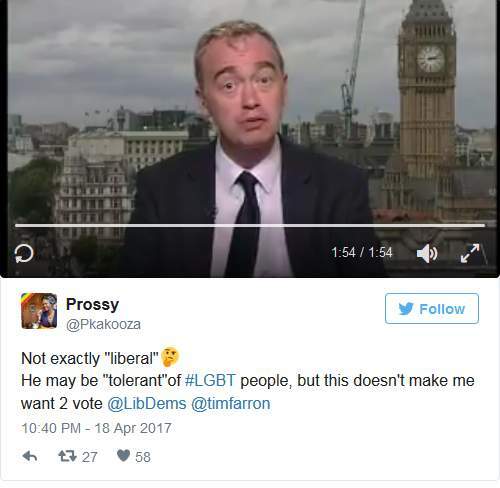 However for Christian bigot and leader of the Lib Dems that was too much. When another racist bigot, Eric Pickles the Chairman of the Conservative Friends of Israel asked what is known as a planted question in the House of Commons about David Ward’s selection as a Lib-Dem candidate, Theresa May insinuated that David Ward was anti-Semitic. This has nothing to do with anti-Semitism and everything to do with a patently false and distorted definition of anti-Semitism, the International Holocaust Remembrance Alliance, which conflates anti-Zionism and opposition to the Israeli state with anti-Semitism and is therefore itself anti-Semitic. I write, as someone who is Jewish, to protest your recent decision to prevent David Ward from standing as a Lib Dem candidate for Bradford East. I must confess that I don't and never have supported the Lib Dems as they have always appeared to me to be a party without any principle. Your coalition with the Conservatives when you presided over the reorganisation of the NHS, whose only purpose was to hasten its privatisation, is a case in point. Your breaking of the promise not to raise tuition fees is another as was your collaboration in the cutting of benefits. David Ward is one of the few people in the Lib Dems who has stood up against the tide and given his support to the real victims in the Middle East, the Palestinians. When Israel rules, as it has done for 50 years, over millions of people and refuses to accord them the same rights as its own Jewish citizens, whilst claiming their land as part of the biblical 'Land of Israel', then that is apartheid. To stand up against that is not anti-Semitic, it is basic anti-racist solidarity. David Ward asked '“Am I wrong or are am I right? 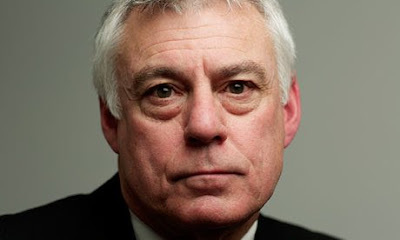 At long last the Zionists are losing the battle – how long can the apartheid State of Israel last?” There is nothing in the least anti-Semitic in what David Ward said. Israel is an apartheid state, even for its own Arab citizens. Everyday legislation is passed which is targetted at Israel's minority Palestinian population, a population which is considered a fifth column by Israel's rulers. A population that is considered a demographic threat to the majority Jewish population, a majority of whom favour the physical expulsion of Israel's Arab citizens.